I know a lot of people who fall back on old favorites when it comes to their holiday baking. But for me, I leave the chocolate behind. The holidays, to me, are about the more exotic and interesting flavors. Ginger is one of those baking spices that only seems to come out during the holidays. And this recipe will absolutely delight any ginger fan. Step 1: Brown your butter well and place into a bowl into the fridge. Let cool in fridge until hardened. Remove from fridge about 30 minutes before you want to mix up this cookie dough. Step 3: Sift the flour, ground ginger, baking soda, cinnamon, salt, and allspice together into a mixing bowl. Step 4: Mix sugar and butter with a mixer until smooth and creamy. Mix in the egg and molasses. Gradually mix in the flour mixture until just coming together into a batter. Step 5: Roll rounded teaspoon-sized amounts of dough into small balls between your hands, roll in sugar, and place onto parchment lined baking sheets. Step 6: Bake until the cookies are barely set, the tops are slightly cracked, about 10 minutes. Cool on the cookie sheet for a few minutes until they can be moved to a wire rack without breaking. Get more Holiday Baking Inspiration on Mommy Evolution! Brown your butter well and place into a bowl into the fridge. Let cool in fridge until hardened. Remove from fridge about 30 minutes before you want to mix up this cookie dough. Sift the flour, ground ginger, baking soda, cinnamon, salt, and allspice together into a mixing bowl. Mix sugar and butter with a mixer until smooth and creamy. Mix in the egg and molasses. Gradually mix in the flour mixture until just coming together into a batter. Roll rounded teaspoon-sized amounts of dough into small balls between your hands, roll in sugar, and place onto parchment lined baking sheets. Bake until the cookies are barely set, the tops are slightly cracked, about 10 minutes. Cool on the cookie sheet for a few minutes until they can be moved to a wire rack without breaking. One of my fave cookies and your’s looks particularly gorgeous! Thanks for sharing on Throwback Thursday and I’ll be pinning this to our TBT pinterest! Hope to see you next time!! Love ginger cookies. Must try these. 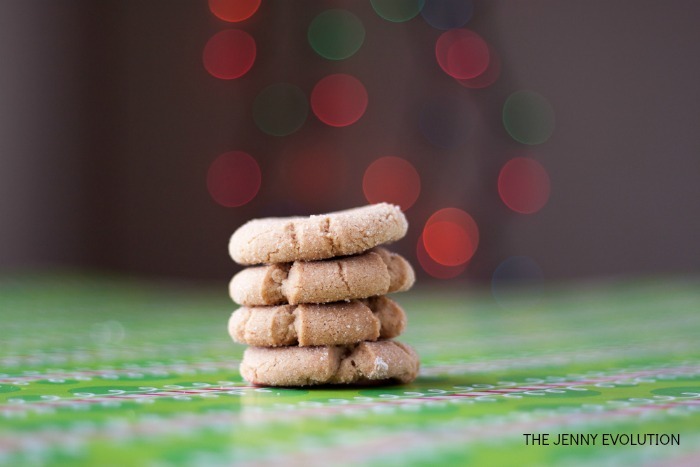 I love anything with ginger – now put it in a soft cookie and boy am I in trouble! Thanks for sharing at the What’s for Dinner party! I love all the cookies and flavors of the holidays. Give me chocolate, sweet and spicy and even savory – I won’t say no. 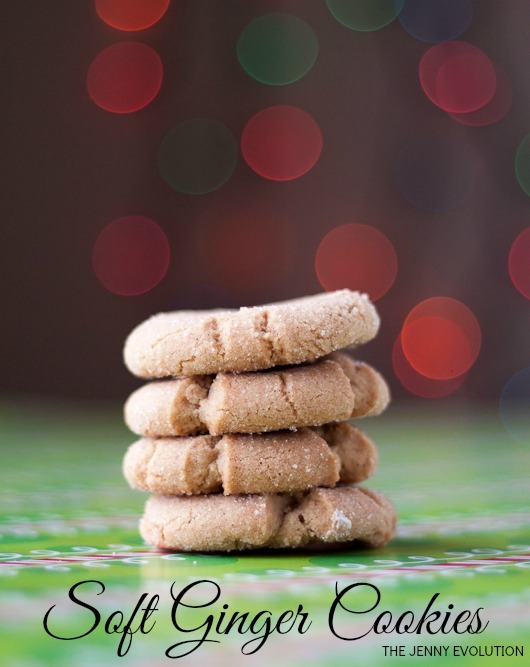 I make gingerbread cookies every year and love the flavors – especially ginger. Thanks for sharing with Fiesta Friday. These look so tasty! I love ginger and made some ginger cookies last week. I’ll save this recipe to make these for my boys. Thanks for sharing at Fiesta Friday – don’t forget to add the links so all your readers can join the party too! We will love your Soft Ginger Cookies in our cookie jar! Hope you have a great week and thanks so much for sharing with Full Plate Thursday! These sound so good! Thanks for sharing at Fiesta Friday party!